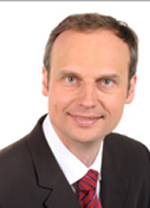 Professor Paulus Kirchhof is a Chair in Cardiovascular Medicine at the University of Birmingham. His appointment includes a position as cardiology consultant at SWBH NHS Trust where he pursues general and interventional cardiology with a focus on atrial fibrillation and sudden death. He is also affiliated as a researcher to the Department of Cardiology and Angiology at University of Mnster, Germany. Professor Kirchhof graduated from Mnster Medical School, Mnster, Germany after studying Medicine at the Universities of Heidelberg, Germany; Mnster, Germany; Lille, France; and Georgetown University, Washington DC, USA. He received postgraduate training in Internal Medicine, Cardiology, and Intensive Care Medicine at University Hospital Mnster. He worked there as a senior general and interventional cardiologist until joining University of Birmingham in 2011. Professor Kirchhof is an active member of several research consortia and professional organisations. Among others, he is a member of the Board of the German Atrial Fibrillation competence NETwork (AFNET), the Board of the European Heart Rhythm Association, and is a member of the Committee for Practice Guidelines (CPG) of the European Society of Cardiology. He has published over 200 scientific articles in peer-reviewed journals, and received several research prizes, is an editorial consultant to the Lancet and deputy editor for Heart. His research tries to improve management of patient with cardiovascular disorders from molecule to man. He has a special interest in atrial fibrillation and cardiomyopathies where his work extends from wet lab science to the conduct of international registries and controlled clinical trials. His research has been supported by the German Research Foundation (DFG), the European Union, Fondation Leducq, the German Ministry for Education and Research, and the British Heart Foundation, among others. He also contributes to the development, publication, and implementation of guidelines in Europe and in North America.